It was the probably the extension of the Great Western Railway to West Cornwall in 1877 in the late 1877 which brought many artists to Cornwall. Until then Cornwall was fairly remote and inaccessible to all but the most intrepid. Once transport was established the now well known 'quality of light' did much to inspire the artists who settled here. The relatively low cost of living and abundance of subjects and scenes also heled establish the area's reputation. 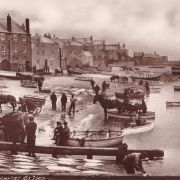 The communities that arose as the result of this influx where primarily located in Newlyn, Lamorna and St Ives and where attributed the title of schools. The Newlyn school was pioneered by Stanhope Forbes and Frank Bramley who settled there in the early 1880s, the Newlyn School combined the Impressionist derived doctrine of working directly from the subject, and where appropriate in the open air (plein-airism). The local fishing community provided a large proportion of the subject matter. 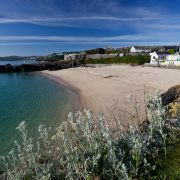 This was an off-shoot of the Newlyn School, located in the nearby village of Lamorna. 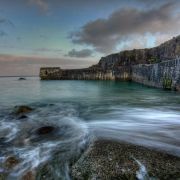 It's not hard to see why the cove was popular with artists -a tiny picturesque harbour flanked by dramatic cliffs at the end of a stream which winds its way down the atmospheric wooded valley. The original Lamorna artist and most influential artist was Samuel John 'Lamorna' Birch, who had moved from Lancashire ten years before. 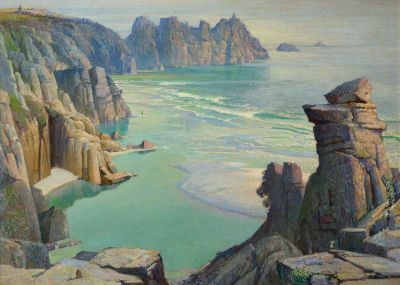 Other artists of the Lamorna school included Dod Shaw, Ernest Procter, Eleanor and Robert Hughes, Ruth Allison, Kathleen Earle, Frank Heath and Midge Bruford as well as Harold and Laura Knight, Ella and Charles Naper and Alethea Garstin. The Lamorna Artists' style was much bolder than their Newlyn predecessors. They used a much brighter pallette, not mixing the colours, using them 'straight from the tube' and not toning them down. 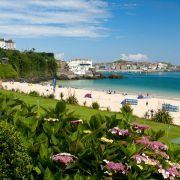 Peaking some time after the Newlyn School, the St Ives School was an important innovator of modern and abstract art. 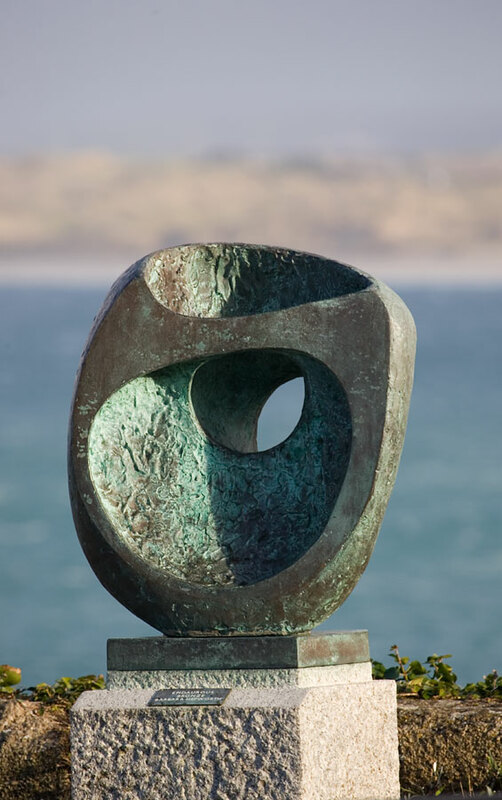 Another difference was the diversity of mediums - sculptors such as Barbara Hepworth and potters like Bernard Leach were very much a part of the St Ives movement. 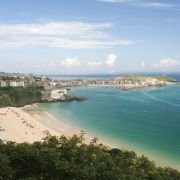 Present day Cornwall is still a haven for artists for many of the same reasons the early wave of artists came here. The quality of light, the romantic landscape, the established community and perhaps of more relevance these days, the quality of life. 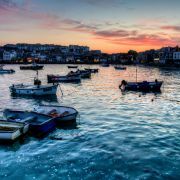 Along with the artists are a plethora of art galleries and outlets ranging from the Tate St Ives to the tiny galleries dotted around every coastal village in Cornwall.